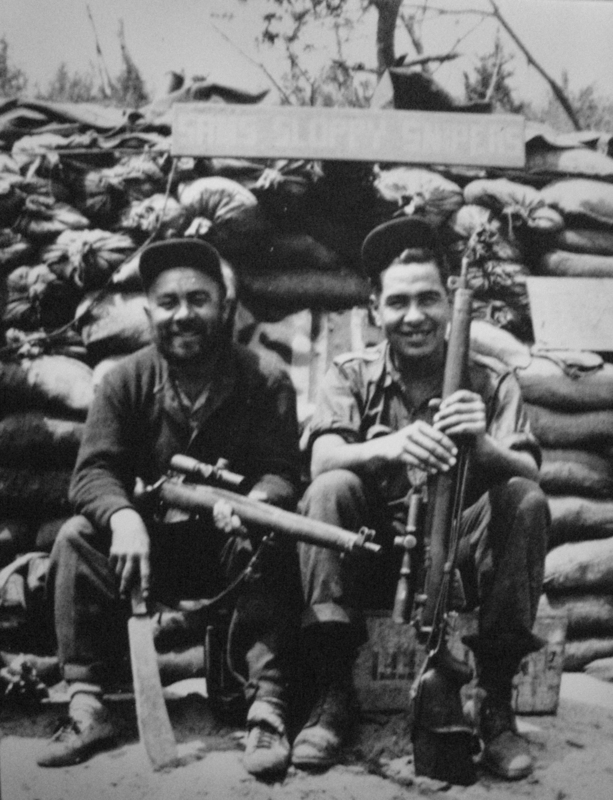 Two Canadian snipers in the Korean War. They are with 1PPCLI in Korea 1951-1952 with “Sam’s Sloppy Sniper Section” Both men are armed with Canadian made sniper rifles, No. 4 MK. I* (T) fitted with C No. 67 MK. I scopes. Canada was one of the United Nations that responded to the North Korean invasion of South Korea. The brunt of the fighting by the United Nations was carried by U.S. forces, but in addition to Canadians, there were British, Australians, Greeks, Turks etc. This page is in memory of my wife’s American cousin First Sergeant Louis E. Slusarski, killed on October 10. 1951. He was with Company “B” of the 7th Cavalry (Famous as General Custer’s unit), 1st Cavalry Division. 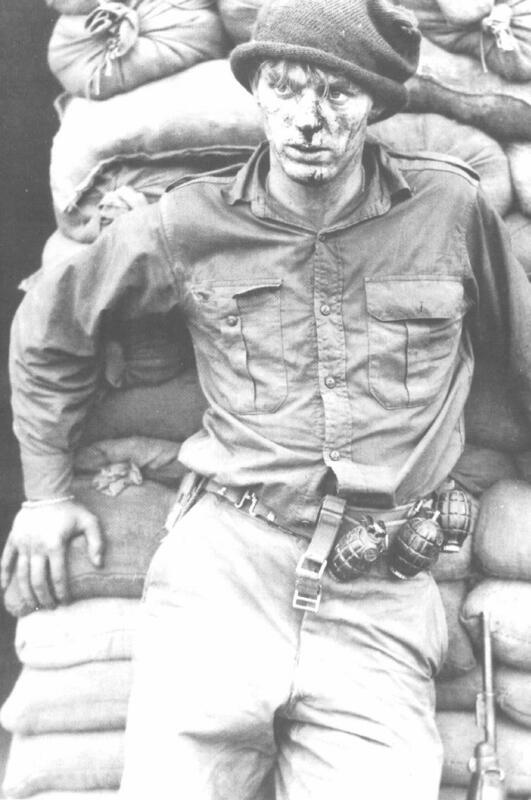 He was killed at Sidamak, Korea and was posthumously awarded the Silver Star for bravery. 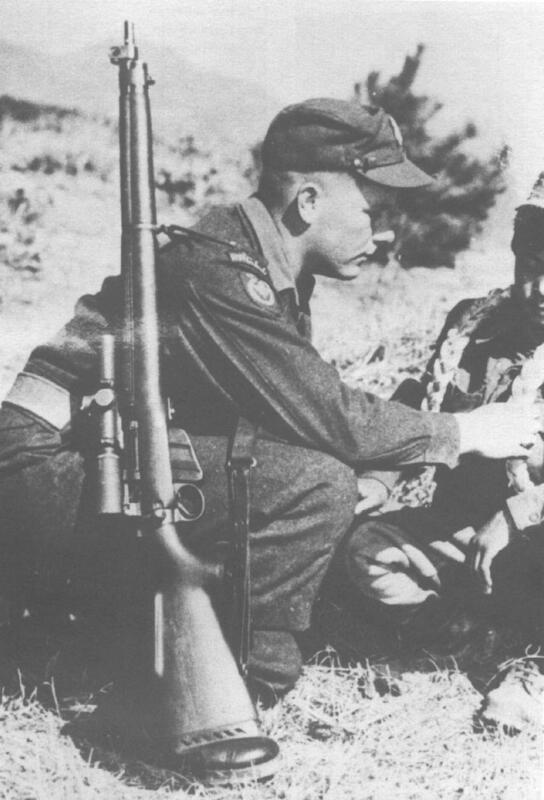 Korea – PPCLI sniper with C No 67 Mk I scope – I have one of these rare rifles and need the C No. 34 MK. 4 (later called C No. 67 MK. I) scope and mount in order to restore the rifle. Link to my web page with information on the above sniper scope that I am seeking. Canadian Vickers Machine Gun post in Korea. 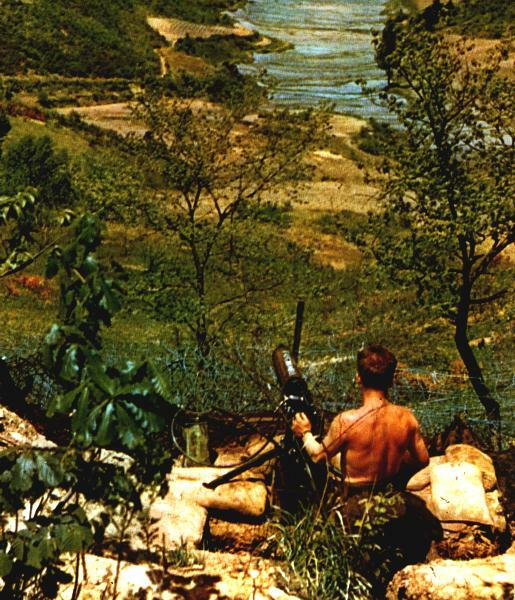 .303″ Vickers medium machine-gunner on summer look-out over a valley in Korea. PPCLI on the move in daylight, Feb. 1951. Note lack of helmets. Men are carrying Lee Enfield No. 4 Mk. I .303 rifles, and .303″ Bren Guns. Note cloth bandoliers, parkas. Although caption says they are on patrol, they are heavily laden with packs. They are also sitting ducks! Smoking and bunched up like recruits! Pte. 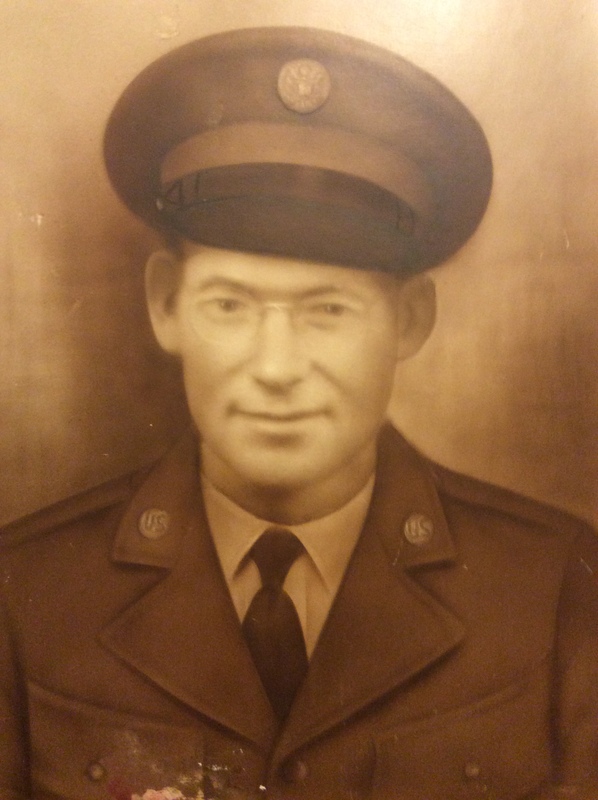 Morris Cantwell, RCR, wounded. Note the British WWII camouflage suit. “Smock, Windproof, Camouflage” and “Trousers Windproof”. I used to have one of these suits and a spare smock with the word CANADA in white in an arch across the upper back. That one was worn in Korea and there is an “L” shaped tear in the lower back from a bayonet (an accident in barracks when they were horsing around, the wearer was pushed and fell onto a bayonet). Pte. Laurent Bourdeau, R22R. US C-ration breakfast. C rat cans are green on outside. Not US M1 Garand rifle bayonet. Also US helmet. Pte. Heath Mathews was a signaller with “C” Coy of the 1st Bn. The Royal Canadian Regiment.He was wounded during a company strength raid on an enemy position the night of 22 June 1952. The proper credit for the photo is; National Archives of Canada Photograph PA 128850 by Paul J. Tomelin. Note the three No. 36 M Mk. I hand grenades on his belt and the late model US M1 or M2 carbine with bayonet lug. 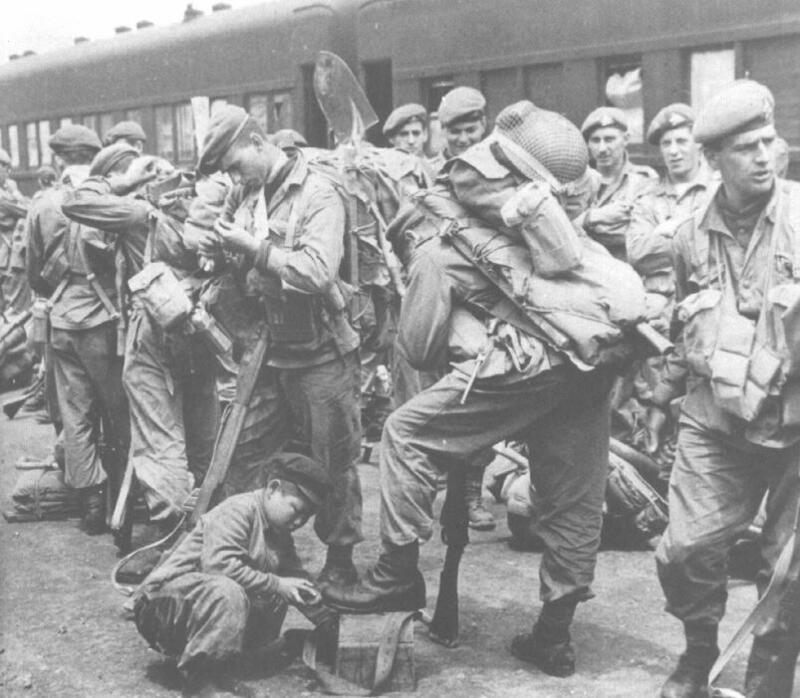 Korea – Royal 22nd Reginment (The Van Doos) May 1952 at Pusan boarding a train. R22R May 1951 at Pusan boarding train for Seoul and the front line. Note their boots. Rifles are Lee Enfield No. 4 Mk. I .303″. Note berets, Canadian helmet on back-board and the load carrying back boards. Canadian &/or UN) vehicle markings instructions and orders for vehicles in the Korean War. I have some from 1952 courtesy of J. R. G. Edwards who was there with the RCAPC. Am now looking for EARLIER instructions/orders. Transfers (decals) of the formation signs of the 25 Cdn Inf Bde (red shield, CANADA and wreath) and Commonwealth Div (grey shield with crown). WHEN did the Canadian vehicle numbering change from modified USA numbers [e.g. USA 20123456 modified to CDN 20123456] to the Canadian DND number format [e.g. 89-123] or were both used at the same time? Did any Canadian Army M38 or M38CDN (1952 production) , M38A1 or M38A1CDN (1953 production) jeeps ever serve in Korea? Only after the fighting had stopped apparently.